We have come in our consideration of these biblical doctrines to the point at which we find ourselves face to face with the great doctrine of the atonement. We have seen that there is only one way whereby men and women can be reconciled to God and that is in and through our Lord and Saviour Jesus Christ, and we have started our consideration of His work, having first considered His person. The work is divided, as we have seen, according to the Scriptures themselves—Christ is Prophet, Priest and King. We have considered the teaching concerning Christ as Prophet and we are now considering His work as Priest. We have seen that He satisfies the desiderata which were laid down so clearly in Hebrews 5:1–5; He fulfils all those demands. And we saw that the two main functions of the Priest are to present offerings and sacrifices and to make intercession. I ended that lecture by saying that He has an offering to offer and a sacrifice to present that God has accepted. This brings us inevitably to the consideration of what it is our Lord does offer, and did offer to God, as our great High Priest. And at once we come face to face with the doctrine of the atonement. This concerns primarily, but not only, as I shall be at pains to emphasise, the death of the Lord Jesus Christ, and therefore our main subject now will be a consideration of the biblical teaching with regard to that. 175 times in the New Testament and indirectly many more times. That in itself is staggering and arresting, and it shows the importance which is given to it in the New Testament Scriptures. Or look at it like this: take the four Gospels; we realise that they are but four portraits of our Lord; they do not tell us everything about Him. John, you remember, ended His Gospel by saying, 'And there are also many other things which Jesus did, the which, if they should be written every one, I suppose that even the world itself could not contain the books that should be written' (John 21:25). But these are written; they are samples, if you like, they are books, they are portraits. And, of course, they are short. Each one of the Gospels is a comparatively short book and yet the striking thing is that in each of them practically one third of the space is devoted to the death of our Lord. It is exactly one third of Matthew; it is nearly one quarter of Luke; and in the case of Mark and John it is over one third. So we can say that on average, of the space that is given to the coming of the Son of God into this world and all that He did and said, one third is devoted to His death and the events immediately leading up to it. So obviously the implication is that the Gospels are thus bringing us to see that while His incarnation and His life and teaching are of vital importance, the event that exceeds all others in importance is His death upon the cross. So there, again, is another reason why we should consider this very, very carefully and especially, let me remind you, when we bear in mind that the people who wrote those Gospels, under the guidance and leading of the Holy Spirit, knew very well that this very thing that they were so emphasising was, as Paul reminds the Corinthians, a 'stumbling block' to the Jews, and 'foolishness' to the Greeks (see 1 Cor. 1:23). Though they knew all that, they put it in the forefront. Then when you look at the book of Acts, you will find that His death is given the same prominence. The apostle Paul's method, wherever he went, was that he went into the synagogue and he did two things. He proved and established that 'the Christ must needs have suffered', and, second, he said that 'This Jesus, whom I preach unto you, is Christ' (Acts 17:3); and when you go on to the epistles the same thing is made abundantly clear. The apostle says, 'I determined not to know any thing among you, save Jesus Christ, and him crucified' (1 Cor. 2:2); and he goes on repeating it: 'I delivered unto you first of all that which I also received, how that Christ died for our sins according to the scriptures …' (1 Cor. 15:3); and there are other similar verses. Also, as you look at the epistles of the other writers you find the same thing; 'Ye were not redeemed with corruptible things, as silver and gold … but with the precious blood of Christ, as of a lamb without blemish and without spot …' writes Peter (1 Pet. 1:18–19). 'He is the propitiation for our sins: and not for ours only, but also for the sins of the whole world,' says John (1 John 2:2). And the same is true of Revelation: '[They] have washed their robes, and made them white in the blood of the Lamb' (Rev. 7:14), and so on. And so anybody who reads the New Testament, even superficially, unless he is a victim of serious prejudice, is bound to gather the impression that, according to the writers of this book at any rate, the death of the Lord Jesus Christ is of paramount importance. That is why we are bound to consider this, and the real question that confronts us is: What exactly happened there? What was really taking place when our Lord died upon the cross? What is the meaning, the explanation, of that death? Now I know that many people are not really concerned to know that. They say, 'No, I am not theological or doctrinal; all I know is that the cross is marvellous and wonderful and that the Lord died there.' And there are many who seem to think that that is the right attitude. They think that this is too sacred for anybody to examine, that you must never come to the cross with your mind but only with your heart, that the doctrine of the cross is something to be felt, not understood. But nothing is more terribly dangerous than that. If I understand the New Testament aright, there is no place where we should be more careful to go with our minds fully operating as to the cross on Calvary's hill. And I will tell you why: it is because this is the central thing; there is no truth concerning which the adversary and the enemy of our souls is so anxious to muddle and confuse us as this particular truth. The history of the Church, as I shall show you briefly, is something that bears endless record to that fact. Let us put it like this: those people who are not interested in doctrine say that all they need is to fall on their knees before the cross; they say that they are not interested in the meaning. But my reply is that that is impossible. Everybody has some view of the cross; and when you say you believe in Christ and look at the cross, you must ask yourself what you believe about it. You have your own interpretation and because of the terrible danger of having the wrong interpretation, we must examine the truth and be certain that we are biblical in our understanding of what happened upon the cross. 'Well,' said the man, 'he has just produced a book of sermons on the cross.' And because this preacher had done that, my friend had assumed that he had become evangelical. But when he read the book, he discovered that the man's view had not changed; it was a view that made the cross of Christ of none effect. He had imposed upon the records his own philosophical ideas and fancies. It is very dangerous to assume that because a man is always talking about the cross—he may even have a cross suspended above the pulpit or somewhere else in his church—that he has the true doctrine of the cross. No, the question is what do we believe about the cross? It is the apostle Paul who tells us that we can make it of none effect 'through philosophy and vain deceit' (Col. 2:8). The cross of Jesus Christ, the death of Christ, is still an offence to the natural man or woman and I sometimes think that they show that most plainly when they talk about it in a wrong and false way. And so I make no apology for considering with you some of the wrong ideas with regard to what happened when the Son of God died upon the cross. Some people regard it as a tragedy or as an accident. They say it was just one of those things that should never have happened; it was entirely due to the stupidity of the people. It was partly political, they say. The high priests and Pharisees and scribes believed that the people were being misled and that there was a danger that their authority would be taken from them, so they worked up an opposing party. These people go further and say that it was something that took our Lord completely by surprise, that He never expected it and when He said, 'It is finished,' He was really saying (I am quoting from a book): 'It is all over.' His life had ended in failure; He could, they say, have persuaded the people to follow Him and live a godly life, but they would not listen. He was only thirty-three; what a tragedy it was that this young teacher was put to death so unexpectedly and so surprisingly, especially to Himself. Well, I am sure it is scarcely necessary for me to refute something which is so far removed from the scriptural representation. Our Lord talked about the cross, and He prepared His own followers for it, especially after Simon Peter's confession at Caesarea Philippi when our Lord at once began to teach the disciples about the cross, about His death and resurrection. Peter objected because he did not understand, but, you see, the Lord was beginning to teach them (Matt. 16:13–23). On another occasion He said, 'The Son of man came not to be ministered unto, but to minister, and to give his life a ransom for many' (Matt. 20:28)—this was an explicit statement of His reason for coming to this earth and dying. Read the Gospel of John especially and keep your eye upon the phrase 'the hour'. Our Lord repeatedly talked about some hour that was to come, the hour for which He had come into the world; it was about to arrive, it was the hour of His death, leading finally to His glorification (John 12:23; 17:1). Then we are told that on the Mount of Transfiguration, Moses and Elijah talked about 'his decease which he should accomplish at Jerusalem' (Luke 9:31). Are we not also told that 'He stedfastly set His face to go to Jerusalem' (Luke 9:51) and when His disciples warned Him against going He said, 'It cannot be that a prophet perish out of Jerusalem' (Luke 13:33). He knew He was going to die. That other idea is too monstrous because there is all this abundant evidence to show that He came into the world in order to die. As the author of the epistle to the Hebrews puts it, He came 'to taste death for every man' (Heb. 2:9). He tells us later on that, 'As the children are partakers of flesh and blood, he also himself likewise took part of the same; that through death he might destroy him that had the power of death, that is, the devil' (Heb. 2:14). Then we are told that after His resurrection He talked to His disciples, who were somewhat confused, and told them to read through the Scriptures, pointing out that they would see from the Scriptures that everything that had happened to Him had been predicted and that He had come to fulfil the things that God had already promised (Luke 24:13–35). Then when you come to the explanations of the apostles themselves in their writings, you find they say exactly the same thing. In his sermon on the Day of Pentecost Peter did not say that Christ's death had been an accident. He said, 'Him, being delivered by the determinate counsel and foreknowledge of God, ye have taken, and by wicked hands have crucified and slain' (Acts 2:23), and he repeats that message in his first epistle. He tells us that this thing was planned in eternity; that it had now literally happened and was being preached and declared (1 Pet. 1:20). But let me point out something which is of fascinating interest in this connection. There is one most important passage in Matthew's Gospel: Matthew 26:1–5, especially verse 5, which settles this matter once and for ever. In verse 5, the word 'day' should not be there; what the rulers said was, 'Not on the feast day'—not during the festival—'lest there be an uproar among the people.' Now what all that means is this: here was our Lord on the Tuesday of that week, which is now sometimes called Holy Week. He was predicting that He would be betrayed and crucified on the Friday: 'Ye know that after two days is the feast of the passover'—that is the first thing—'and the Son of man is betrayed to be crucified'—He was fixing the time. You notice that these authorities who were plotting His death said: 'Not on the feast day,' not during the festival. They agreed, in other words, that He was not to be crucified on Good Friday, but He was crucified then, as you know. Now it was the custom that the Jews should not put anybody to death during the festival—if you want confirmation of that, you will find it in Acts 12 where we are told that Peter had been arrested by King Herod, but they were told to keep him in prison because, 'Then were the days of unleavened bread' (Acts 12:3–4). But our Lord not only knew that He was going to die, He knew the exact moment He was going to die and He gave warning of it those three days ahead, of time. Yet people tell us glibly that it took Him by surprise, that it was an accident! Another wrong idea—and the people who hold it feel that they are a bit in advance of the previous people—is that His was the death of a martyr. What they mean is this. Here was this wonderful teacher; people tried to make Him recant but He would not, He was ready to die, so He died a martyr's death. It seems to me that a very simple statement can be made about this, and I say it with reverence. If the death of the Lord Jesus Christ was the death of a martyr and nothing more, then He was inferior to many martyrs who have died in this world. I prove that like this: the whole glory of the martyrs is that they went to the stake, or whatever it was, with triumph and rejoicing. They thanked God that at last they had been found worthy to suffer for His name's sake—indeed, they rejoiced while the flames were licking their very flesh. That is the martyr's death, but what do you find when you come to our Lord? You find that every time He thought of it He groaned in spirit. When He knew that His hour was come He said, 'What shall I say? Father, save me from this hour: but for this cause came I unto this hour' (John 12:27). But the thought was there: might He be spared from this hour? He shrank from it. What is the meaning of the agony in the Garden of Gethsemane? He pleaded with His Father, 'If it be possible, let this cup pass from me' (Matt. 26:39)—the martyrs never prayed like that. No, the answer is quite simple: it was not the death of a martyr. That is the only explanation: it was in a category of its own, it was bigger in every sense than any martyr's death ever has been, or can be. It was a unique death which can only adequately be explained in one way. Very well, His death was not an accident; it was not a tragedy; it was not a martyr's death; nor was it something that might or might not have happened and all would have been well. No, the New Testament makes it plain that it was something that was essential to man's salvation. But even when you have said that, you have not said enough. In what way was it essential? Now it is at this point that a variety of explanations have been put forward throughout the long history of the Church, and they are still being put forward. There are people, for instance, who teach that the death of Christ is for our salvation, but is only a part of our salvation. The explanation they give for this view is quite unscriptural. So once more I must ask you to consider some of these false explanations before we can pass on to the true explanation. Let me be quite clear about this. I am not foolish enough to suggest that I can understand the meaning of the death of my Lord upon the cross exhaustively. I cannot. But I can say that an explanation is given in the Scriptures themselves which I must uphold; and I must test any view that anybody may put forward with regard to the death of our Lord by what the Scriptures show me I am to know. As we have seen, it is our business, always, to go as far as revelation leads us. It is our duty never to try to go beyond that, and I think I shall be able to show you that in all I shall put forward I am not going beyond revelation. But I am certainly going, and must go, as far as revelation takes me. So let us consider some of the false theories that have been put forward throughout the centuries and are still being put forward with regard to the death of our Lord. Here is the first—I am taking them historically. It is the so-called ransom theory, not the true ransom teaching, but a false theory. Some of the early Christians themselves taught that when our Lord died upon the cross He was paying homage to the devil; He was paying a ransom price to the devil in order that He might liberate those who were held captive. Now our answer is that there is no scriptural statement about that. The Scriptures do give teaching with respect to the devil and his powers and the cross, and I shall return to that, but they in no way suggest that he has any right or authority. He is a usurper, he has no rights and our Lord did not acknowledge him in any way at all. So we must reject that theory in toto. The next false teaching was put forward towards the end of the eleventh century by an Archbishop of Canterbury called Anselm. It was the first attempt ever made to formulate a false doctrine of the atonement or the death of our Lord. What is Anselm's theory? Sometimes called the satisfaction or the commercial theory, it says that when man sinned, the honour—not the justice, you notice—of God had been wounded. The sin was an insult to God and, therefore, Anselm said, before men and women could be delivered and forgiven, God's honour must somehow be vindicated. But men and women themselves could not do that, as they had sinned against God. God could respond to them in one of two ways: He could punish them or forgive them; but, Anselm said, God cannot forgive until His honour has been satisfied. So the teaching was that our Lord had come to pay tribute to the honour of God. Anselm said that by His death Christ had paid this tribute to the honour of God. He was sinless and He had no need to die, but He did die and so brought infinite glory to God. In serving God He went even to the death of the cross and thereby He did something beyond what was necessary. He had kept the law, because He was 'under the law' (Gal. 4:4), and the honour of God was satisfied. So God was pleased and wanted to reward His Son for dying, but the Son needed no reward for Himself and He said, 'Give the reward to the people.' That theory would have us believe that our salvation is a work of supererogation, a kind of extra work that the Lord has done and has given to us as a free reward. Now there are many objections to this theory, which I hope to show you when we come to consider the substitutionary teaching and explanation of Christ's death, but the vital objection to this particular idea of Anselm's is that it does not mention the justice of God, merely a kind of wounded honour. Christ's death is not, therefore, essential, whereas the biblical teaching shows that it is God's justice that makes Christ's death absolutely essential. Another theory is commonly called the moral influence theory. Now this is the most popular of the theories; let me summarise it in this way. It says that God had no difficulty in forgiving us; as far as God was concerned there was no need to do anything. His love is so great that He always, at every point, is full of forgiveness; but the difficulty was to get mankind to believe that. So, they say, what really happened on the cross was a marvellous display of the love of God. I remember once listening to the sermon of a man who ridiculed the substitutionary atonement. 'You must not say,' he said, 'that God was offering forgiveness because of the cross. God forgives even without the cross, but the cross was the proof of God's love. God is telling us on the cross: "Though you have killed my only begotten Son, I will still forgive you."' Christ's death was a manifestation of the love of God. In the cross we see Him suffering in and with His sinful creatures and taking upon Himself the woes and griefs of human life. So the cross is meant to break us down; as we look at it our hard hearts are to be softened. The death of Christ is to do something to us alone. Now that theory, again, as I think we shall see when we come to the positive theory, is entirely wrong, because it does not mention the justice of God at all. It says that nothing was necessary on God's side—there was no obstacle there—but the trouble was only with man. So Christ is not a mediator, because He was dealing with man and not at all with God. The theory takes no notice whatsoever of some of the most glorious scriptural statements which we shall be considering together. Another idea is that the death of Christ is just an example. He came into the world to live a perfect life. He kept the law, yes, and He wanted to leave a good example of obedience to God and His will, so He went as far as death. He was ready to do even that in order to do God's will and thereby He provided us with an example. The answer to that is that we still have to save ourselves and we save ourselves by imitating His example. We are not saved by Him, it is not His blood that redeems us. Furthermore, what about those who lived before Christ? Another theory is given the name of the governmental theory. I mention it partly because it was the view of the cross that was advocated by the great preacher of the last century, Dr Dale of Birmingham. Originally propounded by Grotius, a Dutchman in the seventeenth century, it says that the death of our Lord did not take place because the justice of God demanded it since God's law is not something which is absolutely final. If He wished He could change it. So He could have forgiven men and women in another way if He had chosen to do so, but He chose to do it in this way because, in order to preserve moral life in this world, God had to do something drastic about sin. If He had forgiven sin without Christ's death, we would have said that it did not matter very much whether we sinned or not. But if we said that, where would the moral character of the universe be? So, to preserve His own moral government of the universe, and because He takes such a serious view of sin, says this theory, God sent His Son to the cross, and the Son went to the cross in order that mankind might realise that sin is serious and forbidden. Of course, once again there are fundamental objections. The justice of God is ignored and, still more serious, supporters of His view do not understand that God, because He is God, cannot go back upon His own law. As I want to show you when we come to the positive doctrine, there is a teaching of the death on the cross which is altogether greater than this. It is that Christ died upon the cross for no reason except this; it had to happen; it was an absolute necessity; there was no other way whereby man could be forgiven. I must mention one other theory and that is the mystical theory. This was popularised in London early in the nineteenth century by Edward Irving who had come down from Glasgow where he had been assistant to the great Dr Chalmers, one of the most eloquent preachers of that time. Edward Irving captured London; society crowded after him, drawn by his oratory. It was he who introduced the modern idea of speaking in tongues. He founded what is called the Catholic Apostolic Church in Gordon Square and there he developed strange ideas. Alas, he went astray in many respects, not only in his view of the death of Christ upon the cross. But we are interested in his view of Christ's atonement. It was not his own original idea. He said that Christ, the Son of God, came from heaven, and took the form of human nature. But Irving did not believe that Christ's human nature was perfect; he said that the human nature that Christ had was sinful, but He kept it without sin by the power of the Spirit. Not only that, but by dying upon the cross He purged sin out of it, so what really happened was that our Lord, by living and by dying, purged human nature of sin. He removed the original depravity and united human nature to God. Again, there is nothing here about satisfying God's justice, nothing about honouring the law; the very essence of the true idea taught in the Scriptures is not there at all, merely this strange, mystical conception which is never taught anywhere in the Scriptures. There is one vital objection to this theory and it is that our Lord, as we shall see, certainly took our sins upon Him, but there was one thing that our Lord of necessity could not do: He had no experience of what it is to sin; He had no experience of what it is to feel guilty; He had no feeling of remorse. Because He is God and man, because He is perfect, He could not know what you and I know when we have sinned; and surely it is quite impossible for anyone to repent, or to offer penance, without a feeling of guilt, without a sensation of what sin, in a creature, is against God. Without having our sensation and feeling and experience of being in sin, our Lord could not repent on our behalf. Now we have spent some time in considering these false ideas of what happened when our Lord died upon the cross on Calvary's hill. Having got them out of the way, we shall come next to the positive biblical teaching. 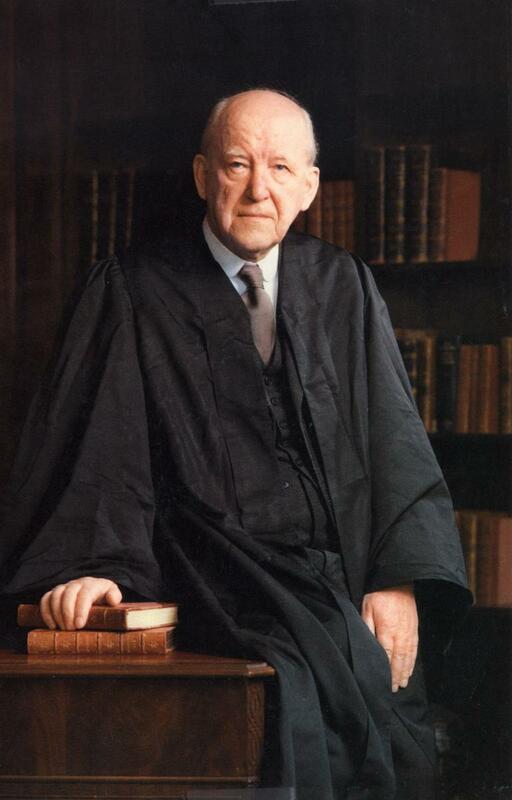 I shall give you evidence and arguments; we shall look at it together and we shall see that the substitutionary idea of the atonement, which is the biblical teaching, not only clarifies the whole thing where nothing else can, but it magnifies the cross and the love of God in a way that all these other theories, which have been put forward in order to safeguard the love of God, completely fail to do.